Samsung’s Galaxy Mega smartphone is headed to US soil later this week. The aptly-named 6.3-inch phablet will launch on AT&T, Sprint and US Cellular in black and white starting August 23 according to a press release from Samsung. 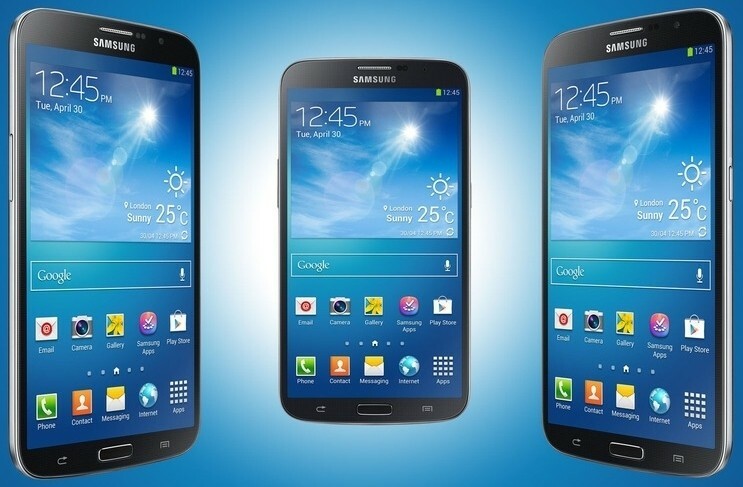 Samsung unveiled the Galaxy Mega earlier this year although it was never clear if the phone would be sold in the states. We now know that it’ll arrive with the aforementioned 6.3-inch HD Super Clear LCD display operating at 720 x 1,280 and is powered by a dual-core 1.7GHz processor, 1.5GB of RAM, and a removable 3,200mAh battery - all running Android 4.2.2 Jelly Bean. Around back is an 8-megapixel camera with support for many of Samsung’s key features like Beauty Face, Best Photo, Sound & Shot and Panorama. Users can also create photo albums using Story Album, a program that groups content by date or event. The Mega’s large screen will be put to good use through Multi Window. This allows a user to run multiple apps on the screen at the same time. For example, one could watch a movie through Samsung Hub while simultaneously checking e-mail, surfing the web or texting with a friend. The Mega will be available first through AT&T this Friday for $149.99 with a typical two year contract or $24 per month through AT&T Next, the carrier’s early upgrade program. Sprint said they will deliver the handset to customers later this year while US Cellular has yet to reveal launch details. It’s interesting that Samsung is bringing the Mega to the states just weeks before the Galaxy Note III unveiling but then again, it’s been Samsung’s strategy to flood the market with devices and see what sticks. Judging by their success, it’s not a bad strategy either.